Do you find the iPhone/iPod Touch connector cable attached to your AppRadio to be too short? I did. The way my AppRadio was connected in my car the cable extends from the center arm rest between the driver and passenger seats. It is about a foot long at best. As we all know, one needs access to the iPhone/iPod Touch at all times while using it with the AppRadio. This is an issue for discussion in a separate post altogether. I think Pioneer needs to make it easier to use the AppRadio without ever having to touch the iPhone/iPod Touch. So how do you extend this short cable? There are cable extenders available on eBay and Amazon, for example, which will extend the cable but don't essentially work. They will charge your iOS device but other functions will not work (iPod, DashCommand, Rdio etc.). This is because these cheaper cables do not pass all iPhone/iPod Touch functionality through them. They only provide connections for the power ports in the 30-pin connector. Get the CableJive DockXtender Premium 30-pin Dock Connector Cable. I use it in my car at the moment and the two feet long cable extends the AppRadio cable. The male to female connector pins fit snugly. The cable looks and feels durable and of excellent quality. Although I had paid $25 for this cable last year, I'm sure it's cheaper now. There is also a six foot version available. I'd check eBay or Amazon for lower prices. I had written another post about the cable on my other blog, 'Tech This'. Check it out here. More technical information can be obtained at CableJive's website here. 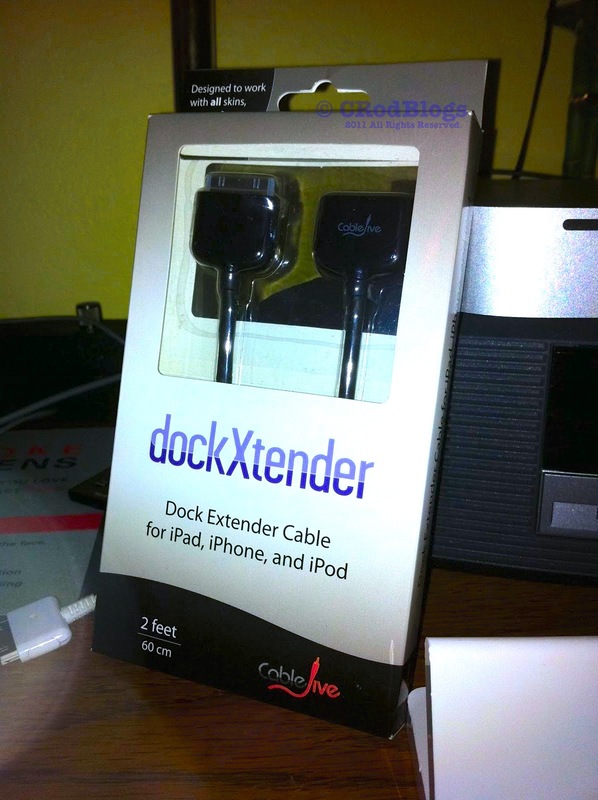 I recently purchased the DockXtender cable, however, the cable only passes the right audio channel. It passes power, video but no left audio on my AppRadio! Works fine with other devices but not with my AppRadio! Is anyone else suffering from the same issue? Does the audio work fine without the dockxtender cable? You could try contacting cablejive support. Cable supplied with the AppRadio works fine. Dockextender works fine in my other car with a different Pioneer radio. Just doesn't seem to function correctly with my AppRadio! Will contact cablejive support and see if they can offer any solutions. Cheers. hi..any news regarding this? did it turn out that your cable was broken? I really want to know if this works. Pleased to report that CableJive were really helpful in sorting out the issue. Sent a replacement to test which worked correctly. +1 CableJive - much appreciated. Much tidier set-up. Plug the single end of the AV cable into the iPod's headphone jack.